Watch Barclay’s Season 10 Dallas City Finals run here. What are Barclay’s goals this season? According to Barclay, it’s a lofty set of goals, but she thinks she can do it (and so do we!). If you need a reminder about just how strong Barclay is, check out this recent training video. In case you missed her Instagram story, here are some fan questions, and Barclay’s honest answers about American Ninja Warrior. Q: Do you feel ready?! A: I have felt more prepared in the past. I still feel like I’m really strong and my experience is going to help me a lot. There are some ways I don’t feel ready, but overall I think I’m going to do well. Q: Do you change your diet up at all leading up to competition? Do you run the course hungry? A: I don’t change my diet at all because I try to eat the same all the time. I never run the course hungry. I always have a little snack. Q: Do you have a different sleep schedule before competing on American Ninja Warrior? 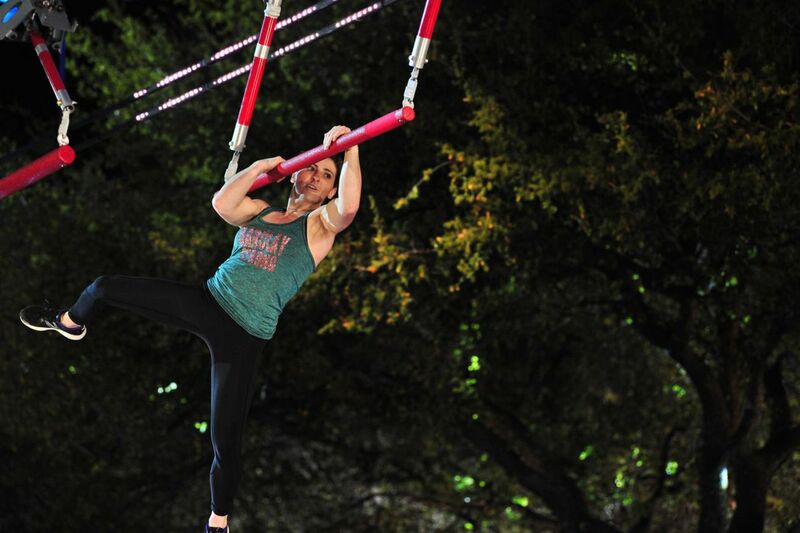 A: I typically try to switch my sleep schedule, so that I’m on the right sleep schedule for ANW. Jet lag from France isn’t allowing for that this year though. Q: Do you rest beforehand or train up until ANW? A: I think it’s really important to rest. Today’s Wednesday. I’m competing on Friday. I won’t be doing anything except maybe a little jogging and a couple pull-ups, but no more training. Q: What do the last 3 days leading up to ANW look lie in terms of training, resting, and eating? A: I might dust off the cobwebs 3 days away. I might do some Warped Wall Runs. I might do a couple pull-ups…maybe. I sleep as much as I can. I eat normal. Q: Do you typically spend more time preparing yourself or distracting yourself? A: I do both. On the day of though, I do a lot of distracting myself. Q: What’s the highest Warped Wall you’ve ever done? A: I have attempted an 18 foot wall. I got 17’6” (ish) up the wall. The highest wall I’ve ever completed is 16 feet wall. It sounds like she’s ready. We can’t wait to see how far Barclay goes! !